Since the Opening of Jamiyah Food Bank Warehouse on 4 March 2017, Jamiyah Food Bank is officially open for operation. With that, we receive much positive response from generous donors from the public as well as other organizations in regards to donation. 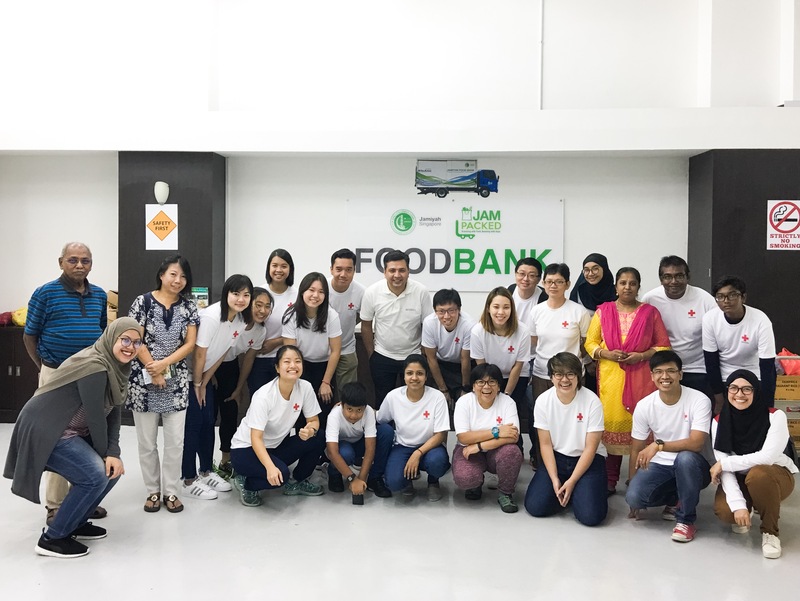 On 18 March 2017, Red Cross came on board and held our very first Food Bank Volunteer activity in the Warehouse. Some 20 compassionate volunteers came down on Saturday morning to participate in this activity and being shared the experience of a Food Bank Warehouse and its facilities. They were briefed and introduced to Jamiyah’s history, Food Bank’s objective and the beneficiaries we have reached out to. Afterward, they were brought around for a short tour of the warehouse followed by the actual work of packing the food ration and, peeling off the stickers from a Jam jar received by a donor. The hard work ends with a debrief and words of thanks. You guys are awesome, thank you, volunteers, for spending your Saturday with Jamiyah Food Bank!